Rickoran is an unreleased bakugan. It is in the BakuCloser series. In ball form it looks similar to Rock Hammer and Barias Gear. It seems to be a humanoid lobster-like Bakugan. 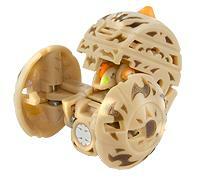 Purchase your Rickoran Bakugan from Amazon now!